With her prints on the murder weapon, Amber Roberts is the primary person of interest in the murder of a man she hardly knew. Is she a killer or the next victim? 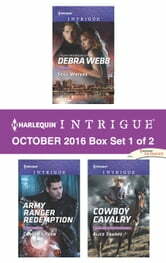 Scarlett Easton has always shied away from the kidnappings cases that haunted her reservation twenty years ago, but as a new threat entangles her with Army Ranger Jim Kennedy, they both must face the darkness in their pasts. Can Frankie Hastings and Kate West set aside the long-buried secrets of their pasts in order to stay ahead of the devious matermind bent on destroying their future? 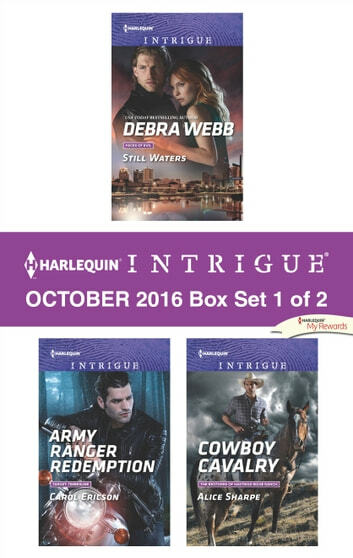 Look for Harlequin Intrigue’s October 2016 Box set 2 of 2, filled with even more edge-of-your seat romantic suspense!